Fairy gardens are so easy to make and a great way to garden in small places. You can create a very ornate garden in a terrarium or in a pot. Fairy gardens are also a fantastic addition to large outdoor gardens as they add character and charm that is loved by all. This is an inexpensive way to garden as fairy garden ornaments and decorative pieces can be purchased for a very small price or you can make them yourself. Some very cool fairy garden decorations are available for sale so you can create a miniature garden using almost any theme that you like. 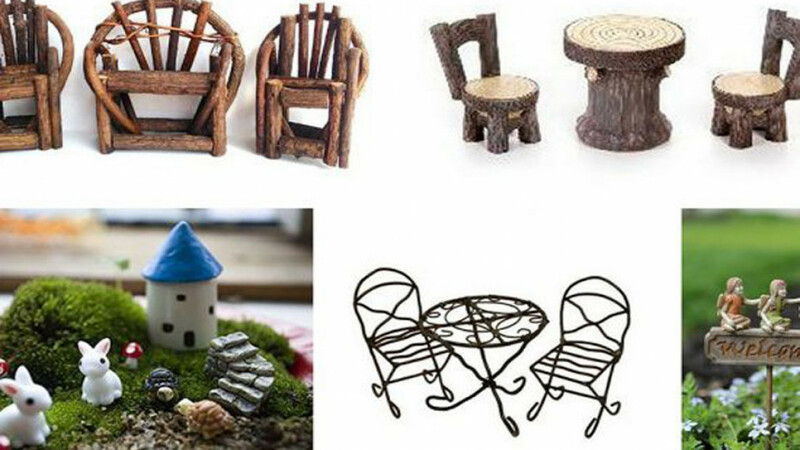 Miniature garden furniture pieces available include much more than just furniture such as tables, chairs and beds. You can also find post boxes, boats, small animals and fairy homes. The only limit is your imagination.